Roland Chiwetelu - Conseillers T.E. A Consultant in our Financial Education and Employer Services group, Roland develops and delivers customized, employee-focused education programs to national and local corporate clients in a range of private and public sectors. He also helps employees personalize their pensions and benefit plans through interactive presentations that help raise their financial literacy. This approach, in turn, helps employers manage governance risks. Roland is a compelling presenter, engaging his clients through seminars, webinars and one-on-one discussions. He creates education programs that generate a greater sense of individual accountability among employees who may not otherwise understand, or value, the full extent of their pension and benefit plans. Starting his career in 2005, Roland worked in financial planning at an insurance company and a bank in Calgary before joining the T.E. Wealth team in 2010. 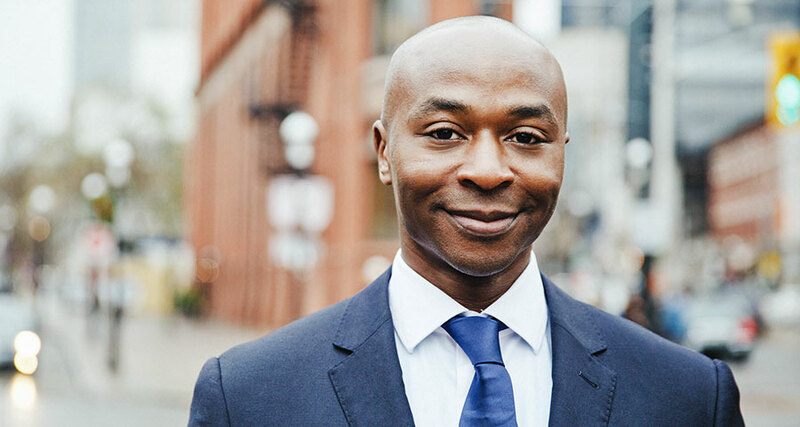 He moved to our Toronto office in 2011, to expand our financial education program to Central and Eastern Canada. Roland holds the Certified Financial Planner® (CFP®) designation, and earned a BCom from The University of Calgary. He now lives with his young family in Toronto.